The Doberman Pinscher (usually referred to simply as “Doberman”) is a large, domestic dog named after its creator, Karl Friedrich Louis Dobermann.  They are famous for their intelligence, loyalty and alertness, which is unsurprising considering they were once commonly used as guard dogs and police dogs. 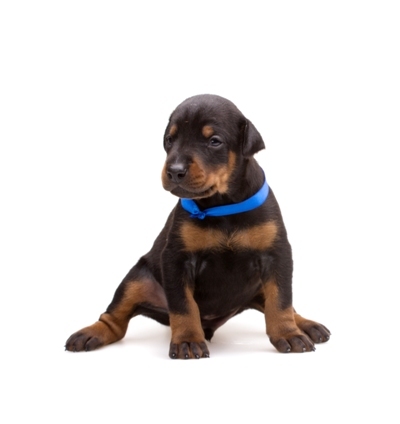 Dobermans generally have a square, compact build and short coat which reflects their athleticism, endurance and agility. 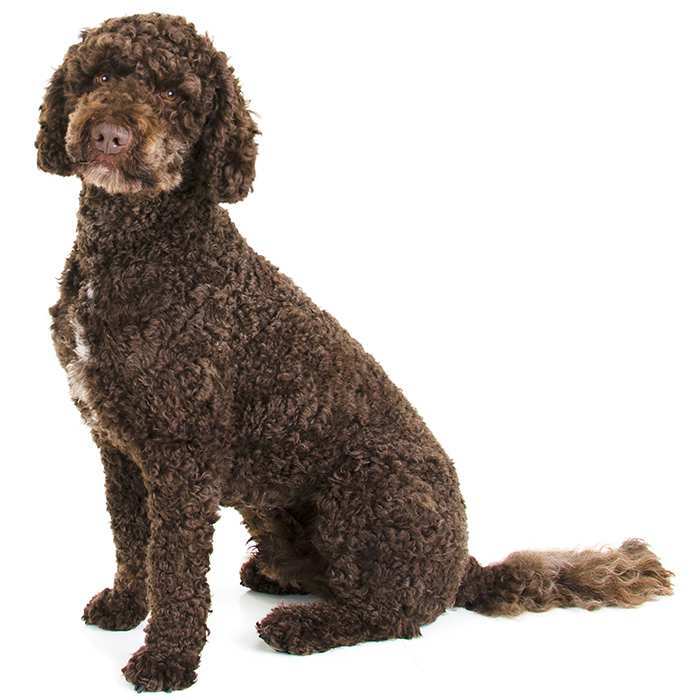 They come in four main colours including black, red, blue and fawn and they can be one colour all over or mixed. Dobermans have rather long, hound-like tails and flat ears. As they have very short hair, Dobermans require very little grooming and shed an average amount. Healthy male Dobermans usually weigh between 34 and 45 kg and stand at an average of 68 cm tall. Females weigh between 27 and 41 kg and stand at about 64 cm tall. The average lifespan of a Doberman is 10-11 years old, but some live up to around the age of 13. Dobermans thrive on human interaction and leadership, therefore they require all members of the family to consistently show their authority over the dog. Fiercely loyal, the Doberman is a great guard dog as it does not need any guard training – it is instinctively protective of its masters.  They are best suited to active, experienced owners, and small children and adult dogs may not mix well with the Doberman. It’s not all work, however. Dobermans are very active, playful, and fun-loving, and will keep its puppy-like personality until around the age of 3 or 4. 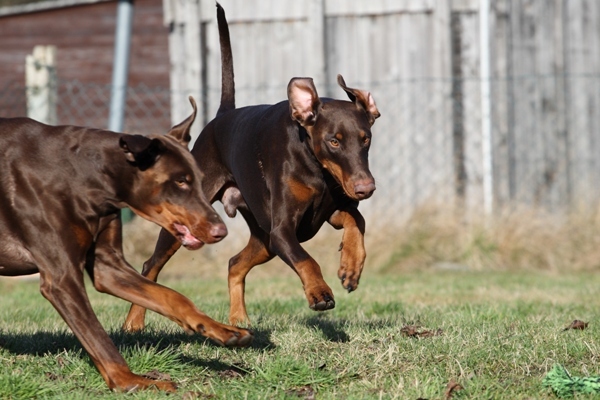 Mental stimulation and exercise are very important for the Doberman, and it is important to socialise them and train them from a very young age. Despite their reputation as being aggressive, modern Dobermans are actually great therapy dogs due to their sweet and gentle nature. In fact, they are great with nursing home residents, as they are very patient and are happy to go at the resident’s own speed. North American Dobermans tend to be calmer and more even-tempered than those from Europe due to certain breeding strategies. 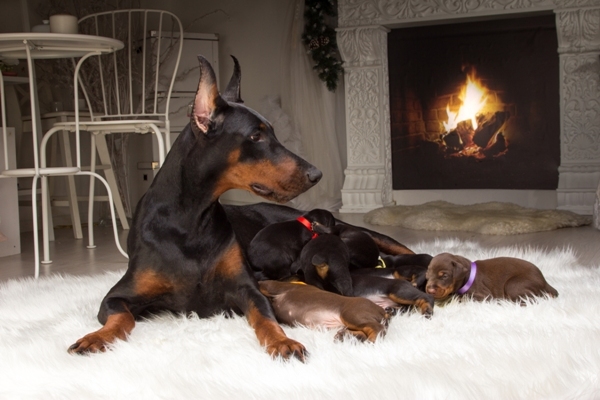 What are the most common health issues for Dobermanns? Progressive retinal atrophy is possible in Dobermans, in which the retina gradually deteriorates causing night-blindness early in the disease and gradual day-blindness as well. Many dogs are able to adapt to the loss of vision if their environment remains unchanged. Wobbler’s Syndrome is thought to be an inherited condition in Dobermans, and causes spinal cord compression and instability due to a poorly formed spinal canal. Other symptoms include neck pain and leg paralysis. Surgery is an option, however it does not rule out future problems. Albinoism is a genetic condition in which the dog is white with pink skin and nose and light eyes.  Affected dogs are sensitive to sunlight and can develop other conditions such as cancer and eye problems. Colour mutant alopecia mostly affects blue or fawn-coloured Dobermans. 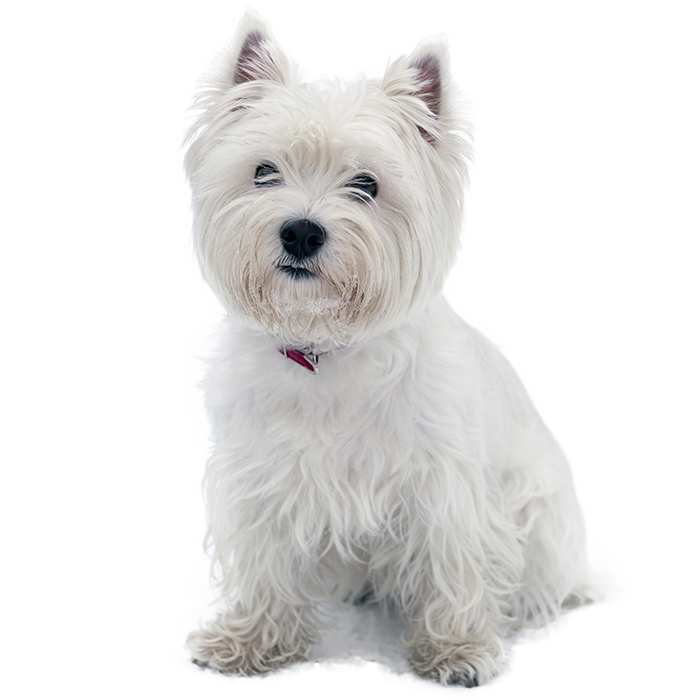 Affected dogs are born with normal coats but between 4 months and 3 years old develop brittle hair and suffer patchy hair loss, which only affects the blue patches of the coat. There is no cure, but medicated shampoos are available which may prevent itching and scaling. Other issues. Narcolepsy and gastric dilation-volvulus can also affect the Doberman. The Doberman originated in the German state of Thuringia and was first bred by Karl Friedrich Louis Dobermann. Working as a tax collector, Dobermann often found himself a target and as a result decided to breed a dog which could protect him during his work. 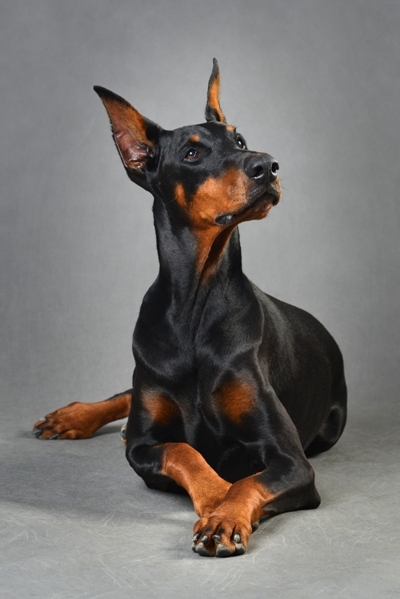 The breed was named the Doberman Pinscher in honour of its creator. The modern Doberman was later developed by Otto Goeller and Philip Greunig. 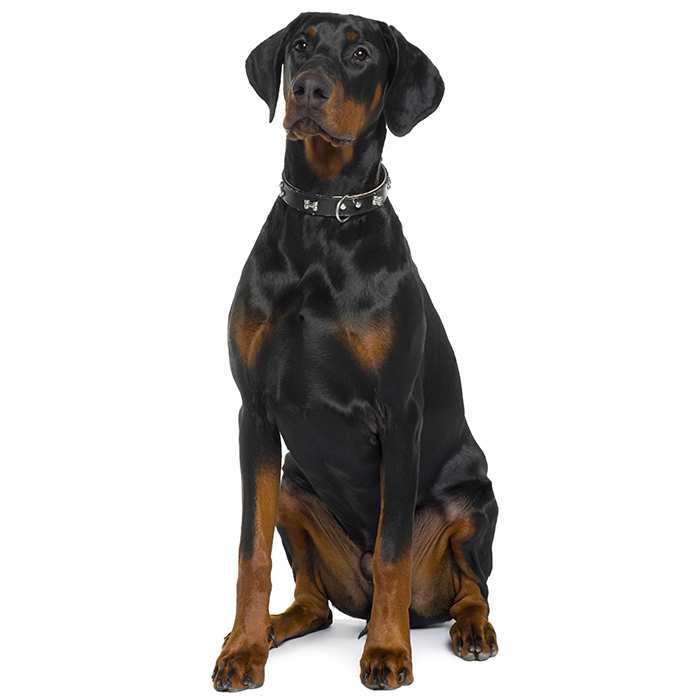 It is believed that the Doberman is a mix of several different dog breeds, including the German Pinscher, the Beauceron, the Rottweiler, the Thuringian Sylvan Dog, the Greyhound, the Great Dane, the Weimaraner, the German Shorthaired Pointer, the Manchester Terrier, the Old German Shepherd Dogand the Thuringian Shepherd Dog. 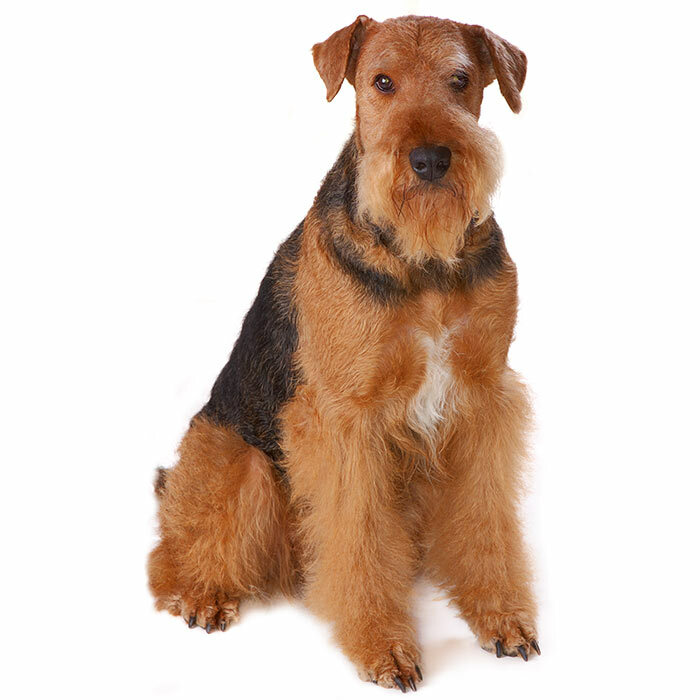 It is uncertain, however, to what extend each breed was used to create the dog we see today. The Doberman was adopted by the US Marine Corps in WWII as its official War Dog, but after the war the breed was nearly extinct. Werner Jung, who searched all over Germany for the right dogs, is credited with saving the breed single-handedly. According to the American Kennel Club, the Doberman was the 12th most popular purebred dog in the USA in both 2012 and 2013. Beatrice Arthur, Bela Lugosi, Priscilla Presley, JFK, William Shatner, Forst Whitaker and Mariah Carey have all owned Dobermans. A healthy Doberman can run up to 44 kilometres per hour. A trilogy of films in the 1970s, The Doberman Gang, The Daring Dobermans and The Amazing Dobermans depicted six Dobermans trained to rob a bank. The Doberman Gang was the first ever film to be given the American Humane Society’s “no animals were harmed” end credit. In 1944, a Doberman named Kurt saved 250 US soldiers in Guam and, unfortunately, became the first dog casualty when he was wounded by a grenade. The dog depicted at the top of the WWII War Dog Memorial in Guam was modelled after Kurt.